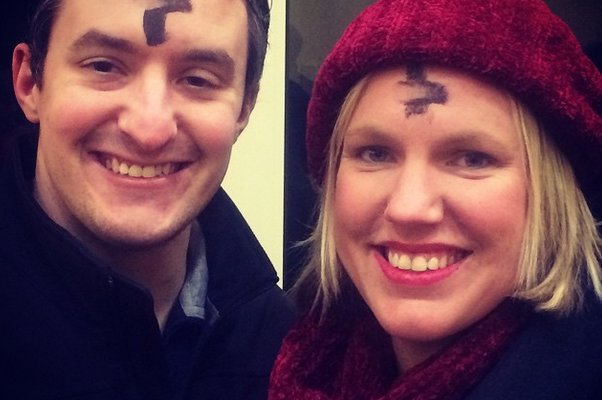 The person was urging people to show some humility and NOT post a selfie of their ashes after Ash Wednesday mass. 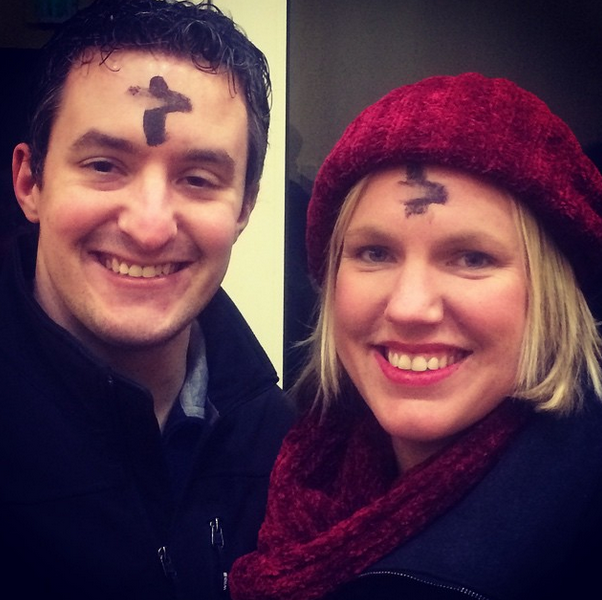 I chimed in and shared the the United States Conference of Catholic Bishops encouraged the #ashtag selfie as a way to evangelize and share with others your love of Lent. (pause for a moment to note that this is an awesome thing). You could argue, as this person did, that there is nothing humble about telling everyone you just went to church, taking a selfie of your ashes and sharing it on social media. But I would disagree, in fact I found it inspiring. I loved seeing my feed fill up with Catholics who were excited to share their faith with their friends. And I think that is where I would invite all of us to dig deep in our hearts and ask some tough questions about humility and intentions. That verse is basically saying, let me remember what this is really all about. Let me remember to be humble in my thoughts, words and actions. And let me recognize that there is a balance. If you’re posting a selfie at church to tell your friends how awesome you are for being there, or sharing with everyone how you never miss daily mass, holy days or Sunday mass, because you’re a perfect Catholic, then you probably need to rethink what you’re doing. But if deep in your heart, your intention is to share your story and call others to join you, then post away. He goes on to say the same thing about fasting. So I’m not supposed to tell anyone about what I’m doing but I’m supposed to tell everyone what I’m doing?!?! No, instead we should, daily, visit our God in quiet. And daily determine what moments to share. All while constantly remembering to check our pride at the door. You never know when sharing your story can become a witness. Just last week, when discussing what to “give up” or “take up” for Lent with a co-worker, she said ‘I really like how you said last year that you and your husband like to add something like service or prayer to your daily life. I’m doing that this year.’ I had completely forgotten that I shared that with her and also completely forgotten that it might be worth trying again this year. At that moment, I was reminded that talking about your faith is good. Sharing your experience is humbling. Because you never know when it might come back around and help you too. So share…like…click…and selfie away. Just keep in mind your intentions. And always remember to let the words of your mouth (and Facebook, Instagram and Twitter) and the thought of your heart find favor in God.